Contrary to a perception — fueled by Chinese propaganda during the 2008 Tibetan uprising that the Tibetan struggle is heading toward extremism, this study shows that the movement has since the 1950s moved toward a tighter embrace of nonviolent resistance. The study traces this evolution, analyzing the central themes, purposes, challenges, strategies, tactics and impacts of three major Tibetan uprisings over the past six decades. Tibetans are now waging a quiet, slow-building nonviolent movement, centered on strengthening the Tibetan national and cultural fabric via what the author refers to as transformative resistance. This is happening in an immensely repressive political environment, which shows that there is a way to mobilize people power against even one of the most ruthless regimes in the world. Tenzin (Tendor) Dorjee is an activist and writer, and the former executive director of Students for a Free Tibet, global network of students and activists dedicated to advancing Tibetan freedom and human rights. His writings have been published in various forums including the Huffington Post, Global Post, Courrier International, Tibetan Review, Tibet Times and the CNN Blog. He is a regular commentator on Tibet-related issues on Radio Free Asia, Voice of America and Voice of Tibet. Born and raised in India, he holds a bachelor’s degree from Brown University and a master’s from Columbia University. He worked at the National Endowment for Democracy, before working at Students for a Free Tibet, where he served as executive director from 2009 to 2013. He is currently Program Director at Tibet Action Institute. 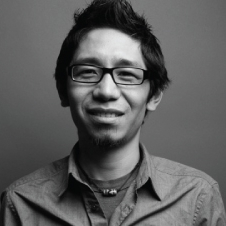 Tenzin Dorjee is a recipient of the 2014 ICNC Research Monograph Award.